A LOCAL BREW TAPROOM... can be a pleasurable place to stop by on a Saturday afternoon, especially in the mellow days of late summer. Autumn isn't yet in the house, but Oktoberfest is nigh, as it always is around the time summertime starts to pack its luggage and make its exit. But when that local taproom is part of a clutch of regional taprooms, all under the banner of a single regional beermaker, you can count on Oktoberfest taking on a convivial mood, at least for a day. For sure, you might find some of the out-sized wacky happenings associated with the holiday at village-wide Oktoberfests, the kind that last for a several weeks. 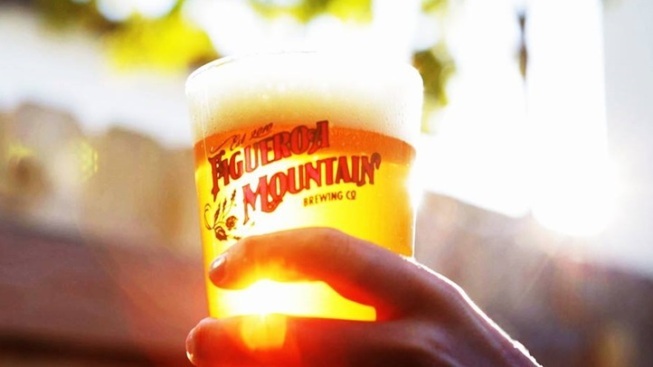 But if you're at any of the Figueroa Mountain Brewing Co. taprooms on Saturday, Sept. 12, you'll feel an Oktoberfestian breeze in the air, thanks to a day of lively games and cool contests and, yes, some savory, beer-perfect German vittles. It's FigtoberFest time around the Central Coast beermaker's vast map of brew rooms. THERE SHALL ALSO BE LIVE MUSIC... at all of the FigtoberFest celebrations, save in Los Olivos. (A note on the site that size and acoustics play a factor there.) Will there be a special crafty brew for the day? Of course there shall be, and it shall be five bucks, so make sure you have a fiver, some tip money, and a designated driver (or a room in town for the night). A stein package is also available, lest holding a stein in your hand at an Oktoberfest-style party is essential to you. MORE BREWERIES DO THE HOLIDAY: If you look at some of the Golden State's biggest suds emporiums, you'll see a batch of Oktoberfestian bashes, some for a day, some for a long weekend. Sierra Nevada Brewery is also going this revelry-laden route, over the first weekend in October, should you find yourself in its Chico neck of the woods.